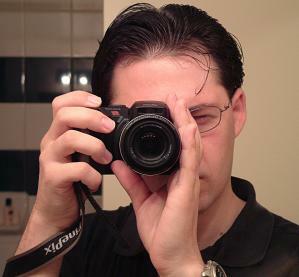 In December, 2000 I purchased a Fuji FinePix 4700 camera. A year later, I purchased a Fuji 6800. 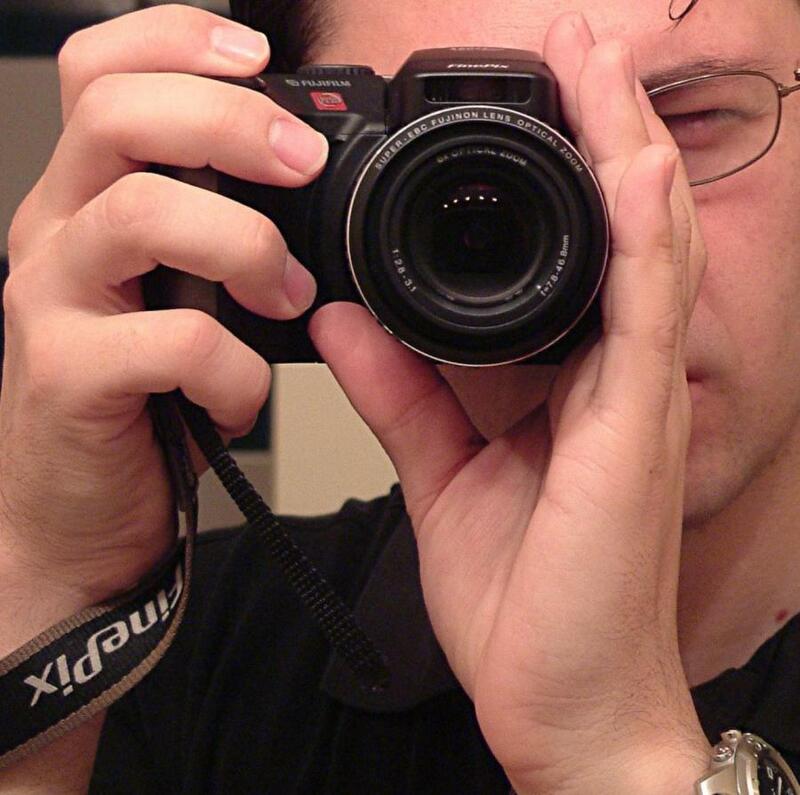 Then nine months later, in September 2002, I purchased a Fuji FinePix S602Z. This page describes how I can transfer files to my Sony VAIO Z505HE via the USB port and using a SmartMedia PCMCIA adapter. The remarks on this page should apply to most computers equipped with a USB port or PCMCIA slot. I early September 2002 I purchased a Fuji FinePix S602. It works as a USB drive perfectly under Linux, exactly as the 4700 or 6800. I've now had this camera almost two months, and I love it. General Thoughts: I went to Circuit City and looked at camera recently, and the Fuji 6900 was by far the biggest one there. This camera is "twice" as big as the Fuji 6800, and I've missed some good pictures because of that. On the other hand, the zoom is much better, so I've got some interesting photos I never would have shot with the Fuji 6800. I like the electronic view finder because it is clear and visible even in bright light, unlike the display on the back. Having a fully manual mode is much more useful than I expected; for example, with a tripod it is easy to take shots of streaking car lights by using a 10 second shutter speed and nearly closed aperature. Batteries I bought two sets of rechargeable 1800 mAh batteries, and they last a long time (several days at my normal usage level; over 300 pictures according to reviewers). Later I bought Gold Peak 2000 batteris from zbattery.com, and I've been very very happy with how long they last. Storage The Fuji S602 takes both microdrive and smartmedia simultaneously. I bought a 1GB microdrive (with PCMCIA adapater so I can connect it to my laptop) for $245 to suplement my 128MB smartmedia card. I take pictures at the highest compressed setting, so each shot takes about 2.4MB. Thus I can only fit just over 40 pics on my smartmedia card, and the microdrive is sometimes handy. I typically take pics that use 2.4MB each. I then download them to Linux and use the convert program to recompress them. I can't see a difference in quality, but typically the files recompress to less than 1MB each; I suspect my laptop uses a more sophisticated and processor intensive recompression method. If I initially shoot the pictures at a lower compression then they look worse than if I shoot at high compression and recompress. Movies I shoot them in avi QVGA format (since I don't have hardware fast enough to play VGA movies), then re-encode them in divx format using mencoder. (I use these scripts, some of which have nontrivial requirements that I haven't explained here. Attempt to use at your own risk.) The divx files are usually about one-fifth the size of the original avi files, and they do look a little worse; depending on what I'm shooting this is acceptable for such a huge reduction in size. One problem is that I can't read divx files into the video sequencing program MainActor in order to later edit them. This bothered me for a while, but the fact is that I shouldn't be spending my free time editing videos using a closed-source program. You can see the pictures I've taken with this camera by clicking here, selecting ascent11, then looking for pictures taken after 3 September 2002. FinePix 6800Zoom. It also acts as a usb-storage device. the necessary modules will be loaded automatically. I am using an rpm for hotplug-2001_02_14-15. I'm generally very happy with this camera. The interface is fast and the small camera takes relatively good pictures and 80 second AVI movies with sound. There is some debate because the camera is capable of creating 4.3 megapixel resolution pictures even though it has a CCD with about half that number of pixels. I won't address that here, except to remark that because of the unique layout of the CCD, I find that low-light pictures come out nicely, which is important for me. Update: It is August, 2001, and I've had my Fuji 4700 for 8 months now. I've carried it with me around the world, and have taken maybe 6000 pictures. The camera has not broken, and I have no immediate plans to buy a new camera, though sometimes photos look unusually blurly along the very left edge and the LED on the back is dusty. I use The GIMP to edit most of my photos, and find the auto-levels feature and cropping the most useful. I sometimes use the Linux program MainActor to edit videos that I create using the Fuji 4700. This program is easy to use, but perhaps crashes more than one would hope; I think it's a good deal for the price they charge. Dust and a piece of my hair has made its way under the circular black and white LCD on the back of the camera. This is a design flaw that is mildly annoying but doesn't cause any serious problems. Now your camera's files are available in the /mnt/fuji directory. With version 2.4.0, the following can be done: (by Eric Whiting). I got my fuji4700 to show up in a 2.4test9 in the usb-storage mode. that worked. Is there a better way to do it? they are just guesses that happened to work ok. I haven't noticed any problems with instability. Sep 29 21:46:27 localhost kernel: usb.c: USB device 55 (vend/prod 0x4cb/0x10b) is not claimed by any active driver. before removing the SmartMedia card, or your system will probably hang. to work on linux. I picked this script up about a year and a half ago. Great little script for linux that works great with my finepix 2600z. I'm sure you can get it to work with the other finepix cameras as well. and I plan to keep it that way. > Linux. How do you like it as a camera so far? I tried this second solution and it worked immediately (using 2.4.19). original usb driver with the current kernel v2.4.18 works great. Does anybody have any info on using this type of camera as a usb webcam? > That means can you make it take a picture on command ? > it ? to take and errase images ? You may pass my stuff on to anybody who may be interested. Thanks for your page on the Finepix 4700! The ones I am using are 1600ma and they last for about 2 hours of use. Works for Fuji 4800Z too! files like you state in your instructions. Thanks again! > If I can ask for your advice again - on the Fuji 4700. > It seems to come with 16 MB removeable memory. would love to have an extra one. > Is this something you recommend? Did you install 32 MB in yours? think of it as "installing 32MB" since the cards are easily removable. It's better to think of it as buying an extra roll of reusable film. Thanks for your web site info on how to configure the above. Your web page helped me get my Fuji FinePix 1400 going with Linux. I using the 2.4.2 kernel on a Intel SE440BX MB and RH 7.0. I was able to mount my FujiFilm FinePix2300 without any problems. /camera and then mounted /dev/sda1 /camera. you see my english is not so good. mount -r -t vfat /dev/sda1 /mnt/whereever . camera only by connecting the camera via cable to your usb-port. fortunately with an usb-port build-in. greetings from germany, and thanks for your page! > > life at first, but then read it doesn't work well with Alkaline batteries. > get a few dozen pictures / movies. 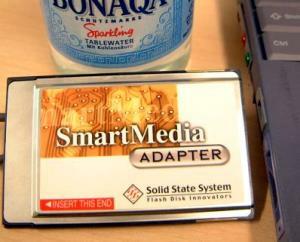 > > 128M smartmedia card. > If you buy a 128M, let me know if it works without a problem. > > Smartmedia as the 4700, not Compact Flash. > that I ruled out purchasing one. sales guy at J&R said it as well. I'm much enamored of the 4700 now! wrap are not included and Li-Ion Accus can't be used. Email me at [email protected] with questions or comments. Please let me know, in your email, if you prefer that your email does not appear in the above "pseudo-mailing list".